The pale yellow flowers of Erodium chrysanthum stand out in the evening light almost as well as white would and they don't have the glare that white does in the full sun. I like the intricacy of the finely dissected gray leaves. Yellow Storksbill blooms most heavily in spring with a smattering of flowers most of the rest of the year. 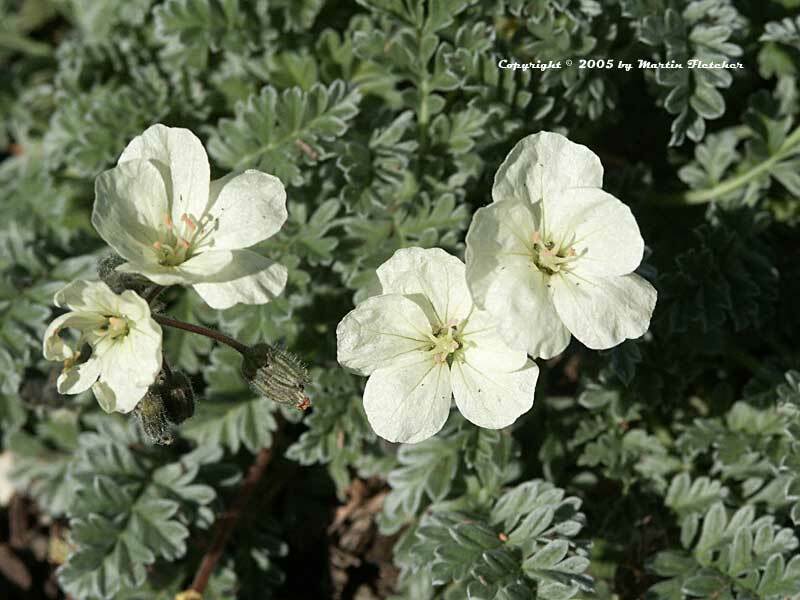 Erodium chrysanthum requires some drainage and will tolerate a little shade but prefers full sun. Pale yellow flowers of Erodium chrysanthum - Yellow Storksbill. High resolution photos are part of our garden image collection.